To be a good business owner you have to have a combination of creative skill as well as under-standing what it takes to run a business. Understanding money in business is a fundamental principle, specifically managing cash flow. 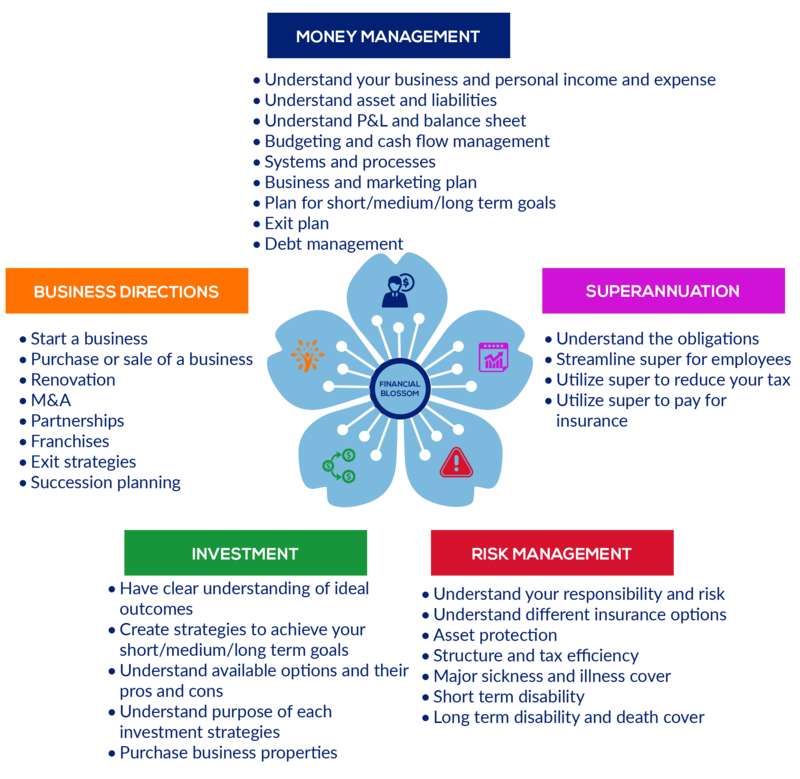 As a business owner, you have certain obligations, such as contributing into your employee’s super, as well as different kinds of risks, such as figuring out how the business will run in the event you are unavailable. Please click into the ‘Case Studies’ section to read how you can financially provide for your loved ones in case of your illness, injury or death. Good business owners also consider an exit plan, so talk to your financial planner about your suc-cession planning.